My lovely friend and paper artist, Lesley Retherford sent this Christmas card to me for the holiday season. I just had to post it. She used the A Muse Studio set Naughty or Nice. It’s hard to tell in the photo, but the red cardstock base is stamped in red with the hat stamp and the fur on Santa’s jacket is flocked in white. I LOVE this card. Thanks, Lesley!! 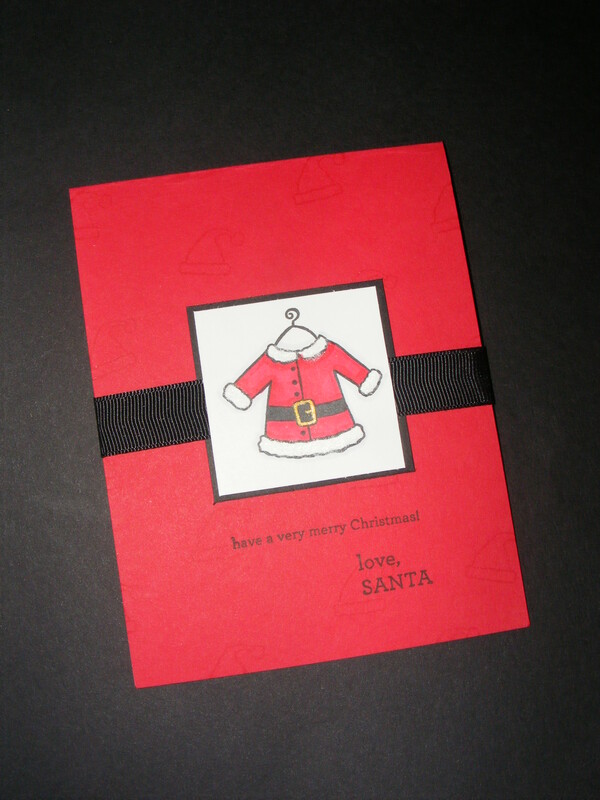 This entry was posted in Cards, Rubber Stamped Items and tagged Black, Christmas Card, Red, Santa Suit. Bookmark the permalink.